Yogyakarta or often written as Jogjakarta is a tourism destination that always full of the tourists from various countries. It is also known by its slogan “Never Ending Asia”. Those combinations make Yogyakarta as a favorite tourism city after Bali. You visit it once, so you’ll miss to come back here. As a famous tourism destination, Yogyakarta is a paradise for exploring ancient temples, the glorious heritage of the past civilizations. Some of the amazing and popular temples are Borobudur temple, Prambanan temple, Ratu Boko Palace, and Mendut temple. 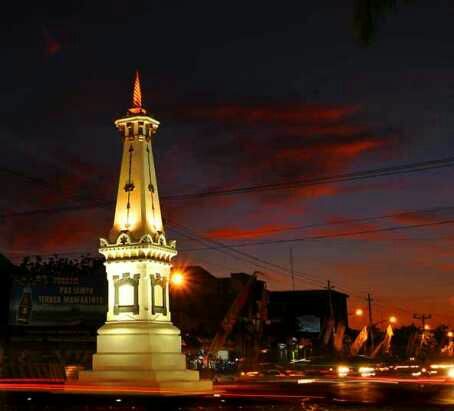 Jogja is a peaceful and relax place compared with the other cities in Indonesia. The supported geographic condition of Jogjakarta, the friendly weather assures you can plan a good trip. To know about the history of the Jogjakarta Kingdom, so please come to Yogyakarta Palace and Tamansari. Yogyakarta is very rich of arts and cultures, especially the ballets and cultures in Yogyakarta and around it for examples; the leather puppet shows, gamelan orchestra and the Ramayana Ballet in the east of the palace. Your trip to Jogja isn’t complete if you miss the delicious culinary. You’ll be treated by many choices of delicious and interesting foods. We can help you to have a culinary tour by watching closer the image of the Yogyakarta society’s daily life. The price of Yogyakarta’s culinary is really cheaper than some other big cities. Shopping is one of the fun tourism activities after walking around and eating some foods. Some traditional markets in Jogja is a paradise of unique craft souvenirs and Batik in Yogyakarta. Some of them are Beringharjo Market, Kasongan Market, and the last but not least Malioboro. Maloiboro is a souvenir paradise in the centre of Jogja city. You can try your bargaining skill with the sellers in this area. A number of interesting activities in Jogja are; architecture tour, Batik or dancing courses, visiting museums, exciting adventure in Selarong Cave and enjoying the beauty of the beaches. Once you come to Yogyakarta, you’ll expect to come back again. Yogyakarta is the most favorite tourism destinations in Indonesia after Bali Island. Various flights have been opened everyday from a lot of big cities in Indonesia. Now, an international flight via Malaysia and Singapore has been opened by Air Asia airlines. Many choices of accommodation, transportations, and public services to ease your tourism adventure are available in this lovely city. 1. Borobudur temple. You must already be familiar with the glory of the Borobudur temple, right? This Buddhist temple is the World Wonder Heritages, the age is older than Angkor Wat in Cambodia and million peoples have come to visit it. 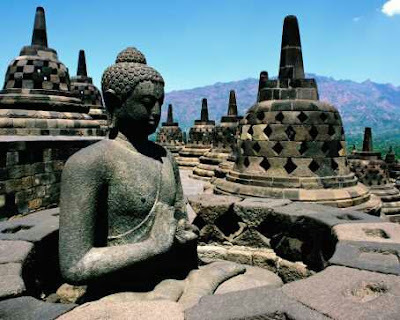 The fame of architecture and the function of the Borobudur Temple as a devout place are very attractive. It needs almost 100 years to finish this glorious temple. The Borobudur temple still becomes a devout place till now. 2. The Prambanan temple is a great and beautiful building. It is height soared up to 47 meters. It was a symbol of the prosperity of the past Hindu Jaya temple that built in the 10th century in the government period of the two kings they are Rakai Pikatan and Rakai Balitung. The Prambanan temple is also a tourism object that you shouldn’t miss. Its unique shape added by the lights shone to this at night will make you amaze. It is a moment that you should capture using your favorite camera. If every city has its major heart or the center of its million peoples’ activities, so Malioboro street is the heart of Yogyakarta city. It is a shopping paradise for various unique things special made in Jogjakarta. Many typical traditional transportations of Jogjakarta are also available in this area. That’s right, Malioboro is the centre of Yogyakarta city that is completed by all of the exoticism and the hospitality of its people. It is an area that is always crowded by not only the local tourists but also the travelers from various countries in the world who are excited to walk on foot in the Nol Kilometer of Yogyakarta area. Malioboro street is still used as a ceremony route and shapes a straight line which is pulled from the Kingdom Palace to the Merapi Mount. The Yogyakarta Palace is a palace designed more than just a resident, but it used as the centre point of the King’s activities. The Yogyakarta Palace consists of a big complex that becomes a reflection of the Javanese traditional architecture with no equal. This palace is facing directlyto the north of the Merapi Mount and bordering with the Indian Ocean in the south. Although Jogja has become one of the special provinces in the Republic of Indonesia, Sultan Hamengkubuwono X is permanently becoming the ruler and owner of the title of Sultan of Yogyakarta. The Sultan of Yogya will also be the governor of Yogyakarta province. Eventhough the modernization experienced by Yogyakarta, the Yogyakarta palace is still respected by its citizens. Those are some the most interesting visited-tourism objects in Yogyakarta. Of course, still there are many interesting tourism objects and various fun activities can be done in this special city.